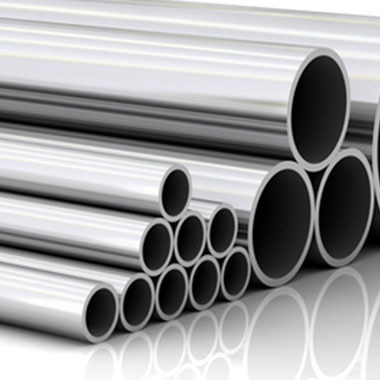 Aspirinox Alloys Inc is one of the top Manufacturer & Supplier of Stainless Steel 446 Tube, which is used in structural, mechanical and engineering applications. Our range of SS 446 Tubes is specially designed using the premium quality material to resist heavyweights and pressure conditions. We also can cut in form of round, rectangular, square and as per customer’s needs. 446 Stainless Steel Tubes and (UNS S44600) is a ferritic, non-heat treatable stainless steel tubes that provide good resistance to high-temperature oxidation and corrosion. Stainless Steel 446 also has excellent resistance to oil-ash corrosion. We offer a diverse range of Stainless Steel 446 Seamless Tubes is most commonly used in applications with elevated temperatures between 1500 to 2100 °F. Whereas, SS 446 Welded Tubes are heat resistant stainless steel pipes that can tolerate molten copper, lead, tin, and brass. Moreover, our Stainless Steel 446 Cold Drawn Tubes and SS 446 Electropolished Tubes are provided in a combination of good grades, thickness, length, and surface finish. Please do contact us today to request a competitive quote on grade 446 tubes or any other stainless steel tubes. Hurry up! Specifications for 446 Stainless Steel Seamless and Welded Tubes. If any specification is not mentioned here, please use the contact button for quick quote. Thickness 0.35 OD (mm) to 6.35 OD (mm) in thickness ranging from 0.1mm to 1.2mm. Contact us or click on the below button to request a latest 446 Stainless Steel Tubes price list. Aspirinox Alloys INC is dedicated to providing the world-class SS 446 Tubes that cater to all your demands at very competitive rates.